English speaking tour guide, transportation and entrance fees included. 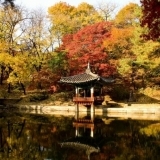 Amethyst & Ginseng center will be included in this tour. 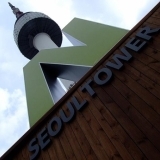 After the tour, you’ll be dropped off at Itaewon or City Hall area. If we are stuck in a traffic jam, the pick-up service will be delayed. Children under 10 years old receive 30% discount. We will not be responsible for your personal incidents and loss during the tour. If you cancel your reservation on the tour day, we will apply 100% cancellation fee to you. Payment by different currency or credit card is possible. 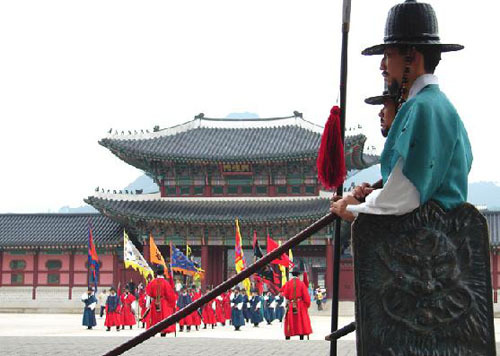 On Tuesdays, Kyunbokgung Palace and the National Museum of Korea are closed and replaced with Deoksugung Palace. The Royal Guard Changing Ceremonymay be canceled depending on the cold weather below -5 Celsius, or due to snow or rain. Hello, I was wondering if these tours were available for those who are staying at homes in Korea?? via home stay?? or do we have to stay at hotels to be able to participate? ?